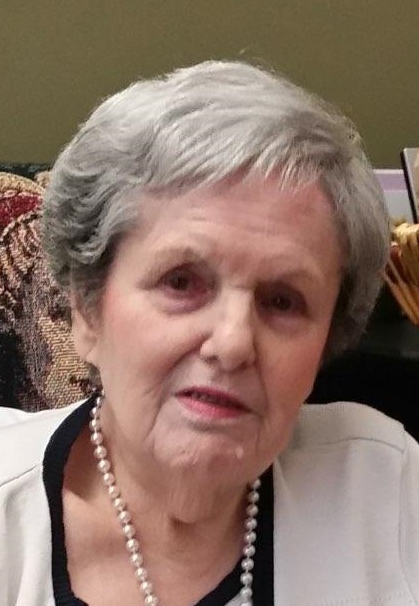 Margaret A. DeLuccie, 87 of Scranton, died Monday morning at St. Mary’s Villa in Elmhurst. Born in Scranton, she was the daughter of the late John and Bridget Gibbons Dailey. She was a 1950 graduate of Scranton Technical High School. Prior to her retirement she was employed by the Tobyhanna Army Depot and most recently Wyeth Pharmaceuticals. She was a member the Our Lady of Mount Carmel Parish, Dunmore. Peggy enjoyed singing in the choir at St. Mary’s as well as at her former church St Joseph Catholic Church in Downingtown Pa. She also enjoyed watching Penn State football and spending time with her grandchildren. Surviving are two sons Richard DeLuccie II and wife Veronica, of Denver Colorado; Ronald DeLuccie and wife Amy, of Scranton; two daughters Lori DeLuccie of Scranton ; and Kathleen DeLuccie of Scranton; twelve grandchildren, twelve great grandchildren. She was preceded in death by a son Daniel DeLuccie, her former husband, Richard DeLuccie Sr., and was the last surviving sibling of nine children. Mass of Christian Burial will be celebrated Friday at 9:30am at St. Mary’s of Mt. Carmel Church, 322 Chestnut St. Dunmore Pa. 18512. Interment will be private in Cathedral Cemetery Scranton. Friends my call Friday morning from 8:30am until time of service at the church. Arrangements are entrusted to the Vanston and James Funeral Home, 1401 Ash St. Scranton Pa. 18510. Next Next post: Donald Arthur Royce, Sr.
Kathy I’m so sorry to hear about the passing of your mother,may God bless you and your family. Bobby Martin used to live at 733 Prescott Ave. I loved your mom’s Italian cooking, she was so nice to me and I think about Danny and the times we had on Prescott Ave. Thank you for being such a welcoming family to me. RIP Mrs. DeLuccie.